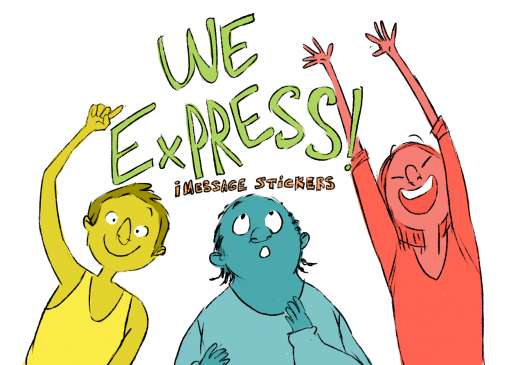 We Express is an iPhone/iPad Message App Sticker package by the incredible artist Milo Montclair. Use on your iPhone or iPad to express emotions visually. These are the pictures that are worth more than 1000+ words. An essential tool/art for everyone who messages more than they speak on the phone. 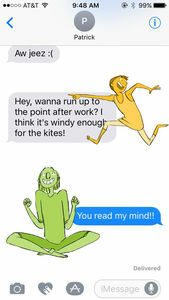 Use these emoji/cartoons/art on your iPhone or iPad to express emotions visually. Kind of like the Pixar movie ‘Inside Out’. These are the pictures that are worth more than 1000+ words. 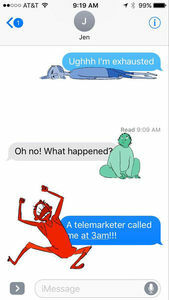 An essential tool/art for anyone who appreciates the brevity of text messages which can instantly communicate more in one emoji than speaking on the phone for 15 minutes. 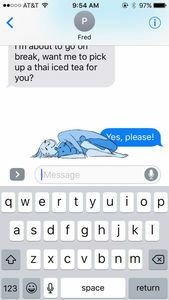 Learn more about using iMessage Stickers on your iOS device. 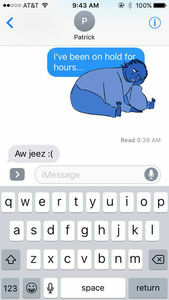 Express emotions for kids, teens, adults in iMessage chat using color stickers as emotions, radiate bliss and cute emoji. 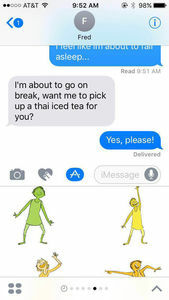 Similar to the Pixar move ‘Inside Out’. 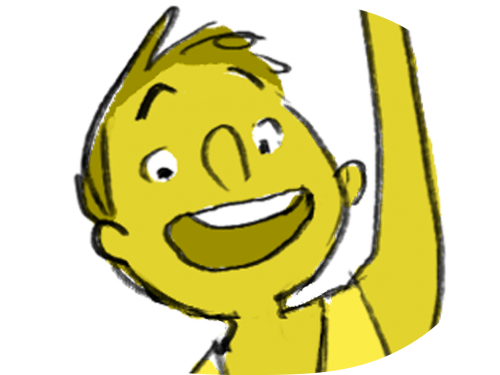 Mainly for fun and to spread good feelings.